I recently decided to test out Instagram’s new question feature that they included in this week’s update to the app after seeing some other people use it and was really pleased with the resulting conversations that followed. I have been wanting to post something similar on IG recently offering to answer general S13 questions for people for a number of reasons. As nerdy as it may be, I am really passionate about these cars and always enjoy talking about them in just about any context. I enjoy meeting new people from different backgrounds and hearing their stories and really appreciate when someone comes to me with a question or for advice with their build. It’s a great feeling when someone tells me that the car I have put so much time into over the last 9+ years inspired or influenced their own build. It’s never what I set out to do, but I’m always grateful when someone takes the time to reach out and tell me this. One of the questions I received was something along the lines of “Do you have any advice for a 17 year old that would like to build an S13?” and I thought it was a really awesome question. Being 32 years old, it’s easy to talk down on the current generation and the way they modify their cars. There’s no doubt that the landscape has changed with the downfall of forums and the rise of social media. Getting attention has somehow become both monumentally easier and more difficult at the same time. Everyone has a desire to be noticed and included, which can sometimes translate into a car being hastily thrown together in order to gain followers- the supposed determinant of success in this day and age. The fact that someone so young took the time to ask this question reminded me that blanket statements like “Kids these days don’t care about building a car properly” are unfair and do nothing to further the scene. I’ve always been a firm believer that taking any opportunity to spread positivity is time well spent. The day I bought my S13 at age 22 back in November 2008. As someone that has been building and tinkering with an S chassis for almost ten years now, I thought it would be fun to write a bit longer response to this question than I was able to on Instagram. I’ve made plenty of mistakes along the way, so working through a hypothetical build beginning at age 17 feels like a good way to share what I would have done differently for any aspiring high school age S chassis builders out there. My first piece of advice for someone in this situation would be to get a hold of a cheap, reliable car to transport you to and from school and work. Having a job in high school (and college if you go) will be key to help fund the future project, so find a vehicle that can get you to and from work reliably and affordably. It doesn’t need to be anything remotely cool- think an old Camry or Accord. Something practical that won’t let you down and will allow you to avoid needing to make a car payment every month. In fact, I would encourage you to find something that you have zero temptation to modify. Even at age 32, my current daily driver is a 2004 Pontiac Vibe with over 200k miles on the clock and an automatic transmission. It’s not remotely cool in any way, but it gets me to work during the winter months and only cost me $1,000. I was fortunate enough to have my mother purchase me a ten year old Camry in high school, so I got a major head start in this arena. My 1994 Toyota Camry that my mom bought me in high school. I was able to squeeze 150k miles out of this car (on top of the 110k it had on it when it was given to me) as my winter beater during much of my S13 build process. Save as much money as you possibly can. This will obviously be key to building one of these cars. Try not to purchase any parts until you have the actual car in your possession (something I have not always been able to stick to in the past.) As for the car itself, my personal preference would be to find something as close to stock as possible. Obviously this is what most people would prefer, but it’s obviously not easy in this day and age as these cars are getting older and older. The tales of finding a stock chassis that has been sitting for years are few and far between, but they do still pop up from time to time. Don’t buy one of these cars until you have a place to store it. My S13 spent time at both my grandpa’s house and my cousin’s house until I had a garage of my own. Finding somewhere free, safe, and accessible to keep the car with someone you trust is a huge advantage. 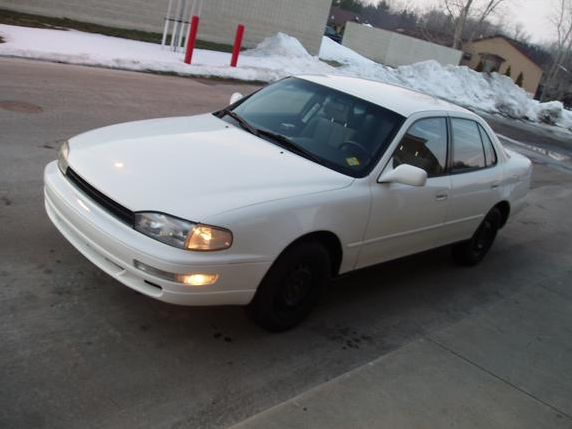 A photo of my car from the original Craig’s List ad in 2008. Buying someone else’s project can be a headache, but sometimes buying a car that doesn’t run can be much more affordable. If you can find a chassis that is in good shape without any rust, includes most or all of the body and interior panels, and has a few modifications that are easily reversed it might not be a bad buy. Buying someone else’s unfinished project might help you get a good deal if they need the cash fast or are frustrated and just want the car gone. You also might be able to sell some of the parts they installed if they aren’t what you would personally choose to recoup some of your funds. 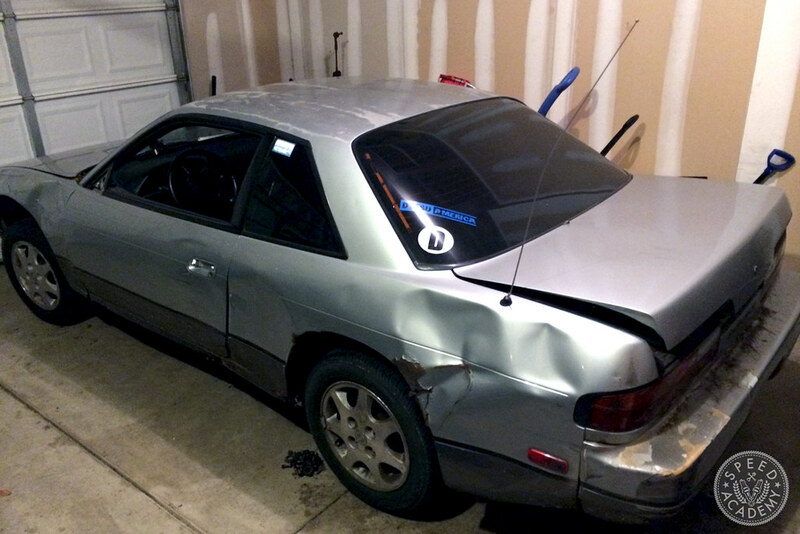 For example, I bought a rusted out and smashed up S13 coupe back in 2014 as a donor car for rebuilding my own S13. 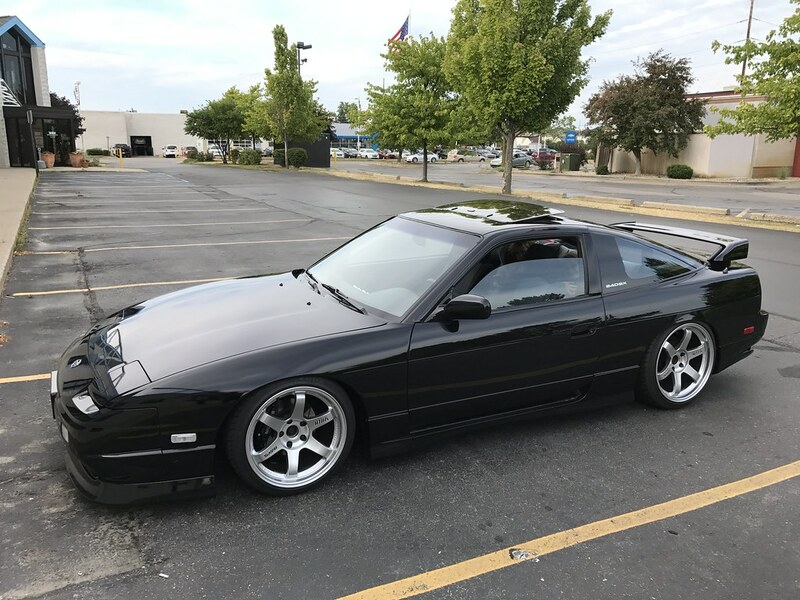 I paid about $2600 for the complete car but was able to sell the coilovers, 2 way differential, and some other items the car came with to get some of my investment back quickly. I was left with a complete SR swap that I knew was in OK shape (since the car was running when I bought it) for about $900. Stay away from anything with a tube front end, ruined rear quarter panels, or the chassis harness removed. A car that has been stripped to a bare shell will likely be too difficult to get back on the road. Find the best balance of affordability and completeness possible. The donor S13 I purchased to source an affordable SR20DET swap. Once you have the car, try to work in stages of the build: exterior, interior, chassis, drivetrain, etc. Come up with a solid plan for what you want to achieve and a parts list for each area. Focus on one portion of the build first, then execute it. If you can start with a car that runs and drives, keep it that way for as long as possible. 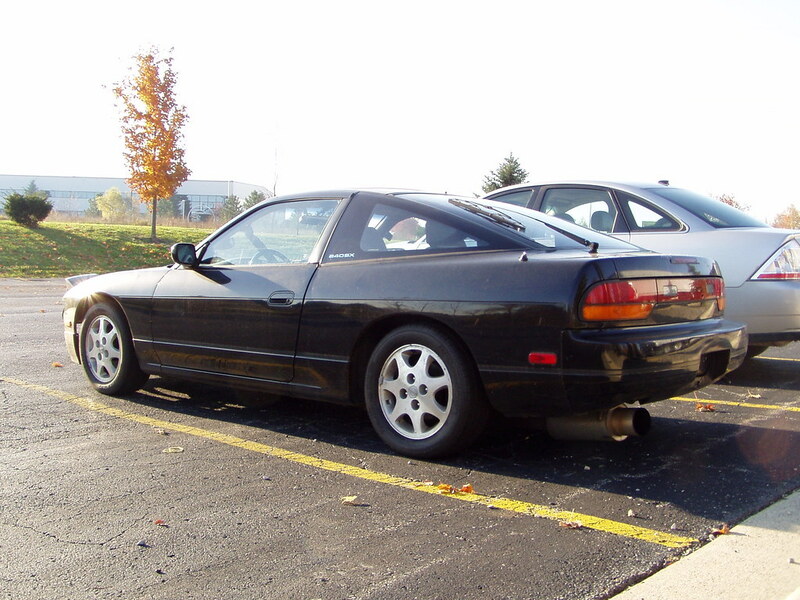 For example, if you find a mostly stock S13 with a running KA, take time to enjoy driving it before you tear it down. Collect all the items you need for each stage and install them as complete modules as you go. You could begin with the suspension and brakes by replacing bushings, adding coilovers and adjustable arms, upgraded brakes, and a five lug conversion with some decent wheels and tires. Enjoy driving the car in this simple state, then work on piecing together an SR20DET swap. Wait until you’ve sourced everything needed for the swap and have sourced a place to complete the work, then try to knock it out in a week or so. Obviously this is easier said than done and takes a huge amount of patience, research, and money. It’s definitely not easy! My grandfather’s garage wasn’t the cleanest work environment, but it sure beat letting the car sit outside in the snow all winter. Circa 2009. Being able to actually drive the car is a huge motivating factor in completing a build like this. I learned the hard way when trying to piece together my 2JZGTE swapped Lexus GS400 from a rolling chassis I purchased that it’s tough to stay motivated with a car you have never even driven. There’s no connection with the car and it makes it easy to want to give up. Keeping the car as complete as possible through each stage will allow you to enjoy it a bit during the process and hopefully keep your dedication alive. 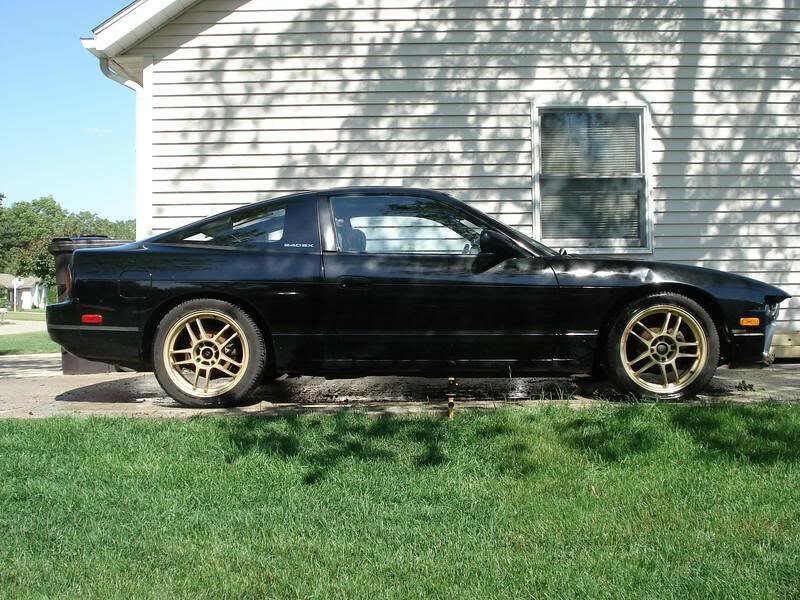 Far too man S13s are stripped down to a bare shell never to see the road again because the time and funds are not available to complete them. The task becomes too daunting and it’s easy to just give up. 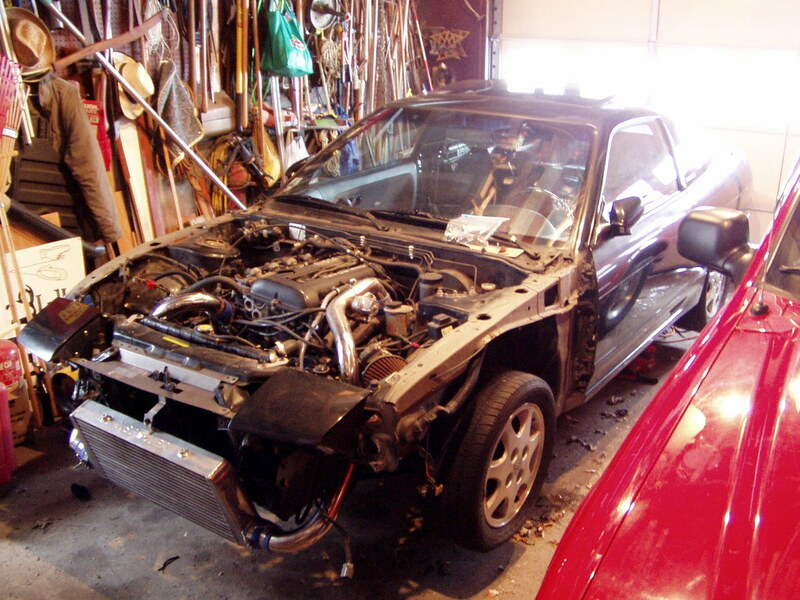 It’s much easier to strip a car down to begin a “build” than it is to put it all back together, so it can be tempting to fall into this trap just to make some progress. Try to avoid it if possible. Remember along the way that the car won’t immediately represent the end vision you have for it- that’s OK. Don’t let what others are doing around you push you to cut corners or make sacrifices to your vision. You can live with the imperfections in the mean time knowing what the finished product will hopefully look like once completed. Enjoy the build process! It can be really stressful, but I almost enjoy the process more than the end result. Remain humble and appreciative for what you have because you never know when it could be taken away. There are aspects of my car’s paint job that drive me bonkers to this day, but I have to take the good with the bad and enjoy the car for what it is knowing that I’ll hopefully have the opportunity to paint the car properly one day like I originally had planned. Building a car is a ridiculous expense that makes no financial sense whatsoever. It’s incredibly difficult to achieve while still in college or high school, which is partially why I didn’t take on building a chassis like this until I graduated from college and started my career. It’s a balancing act that is very hard to maintain. It’s paramount to take your time and realize that it could take years to achieve your vision. It’s no fun to wait in the mean time, but make sure you don’t let life pass you by while you’re chasing down the goal of building a car. A good balance of your time is important to maintain. It’s not going to happen overnight, so make sure you take care of life’s priorities and yourself as you go. Be sure to capitalize on the more important aspects of a hobby like during the process- traveling to new places and meeting new people. The car will always be there when you get back. I hope someone out there finds my two cents useful. I can’t say I have always followed my own advice, but this is what I have to offer after living the journey myself. I wish you the best with your S13 project!